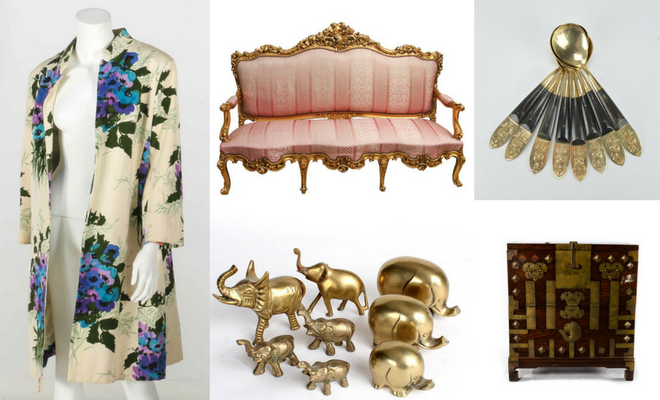 For our second annual girl’s trip, my friends and I had very few requirements. 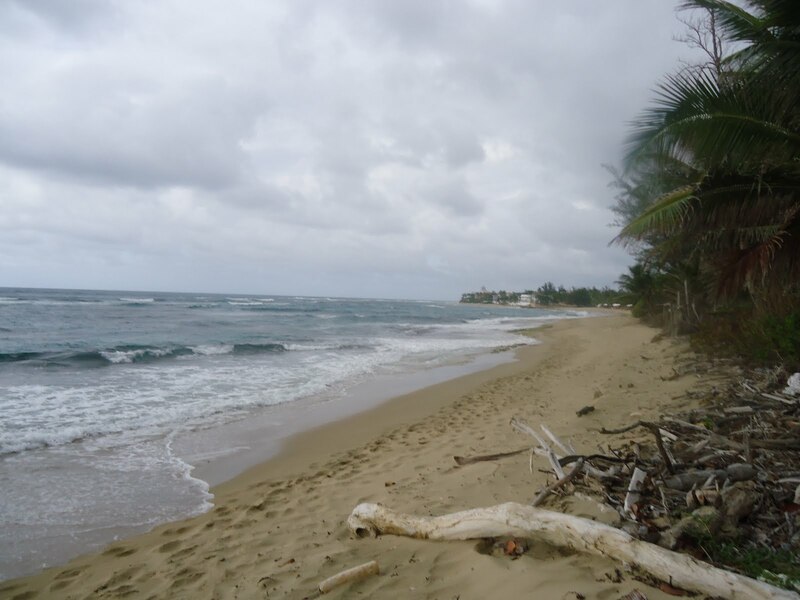 Our search for something cheap, on the beach, and free of hordes of tourists led us to Rincon, Puerto Rico. Situated on the West Coast of the island, the small town of Rincon is famous among surfers and boasts some of the best surfing available during busy season (October through April). Come late spring, the town turns into a sleepy Caribbean village – perfect for visitors looking for a laid-back, relaxing vacation. 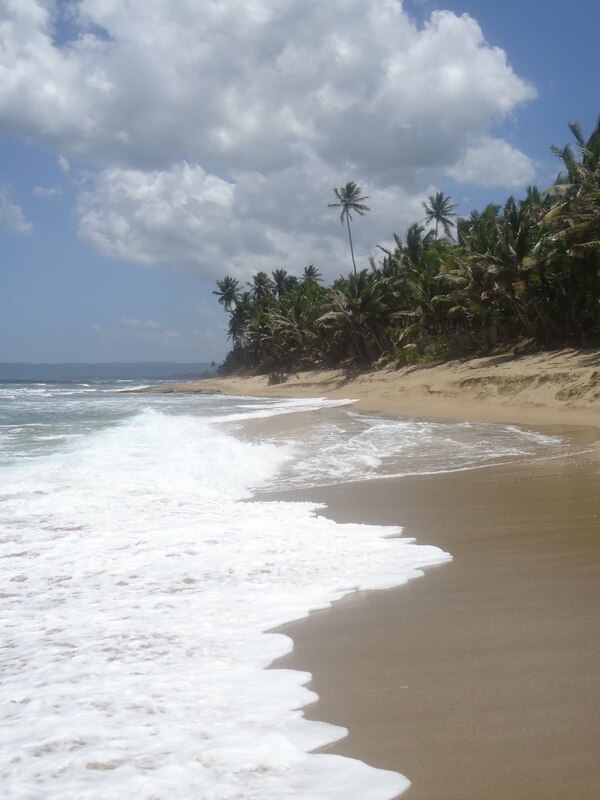 Looking to visit Rincon, Puerto Rico? Here’s our Rincon travel tips based on everything we learned on our five day trip! 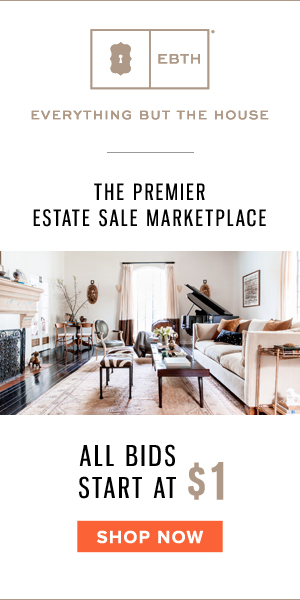 There aren’t very many chain hotels in the Rincon area, so your best bet is to rent a condo or home through Airbnb or a vacation rental service such as FlipKey or VRBO. We scoured both of these sites until we settled on a vacation rental on Sandy Beach through VRBO. To be quite honest, we weren’t quite sure what to expect; however, our experience at Casa de Rincon was amazing – we definitely got more bang for our buck by going this route. If you’re looking for a more traditional hotel, Villa Cofresi comes highly recommended. 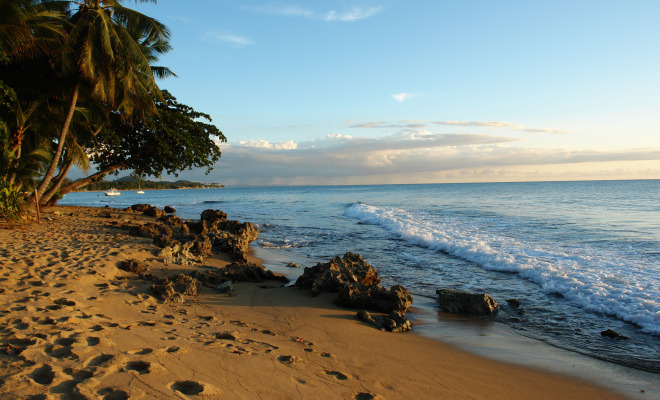 If you’re searching for flights, Rafael Hernández Airport in neighboring Aguadilla is closest to Rincon. Although there are more flights coming into San Juan (and the island isn’t terribly large), you won’t want to drive cross-island to get to your destination. Many of the roads in Puerto Rico are winding (and confusing! ), thus a five mile trip can take you a half hour. Speaking of driving, you will want to rent a car. Because the town doesn’t have a main “strip”, you’ll be traveling back-and-forth across town to visit restaurants, various beaches, etc. 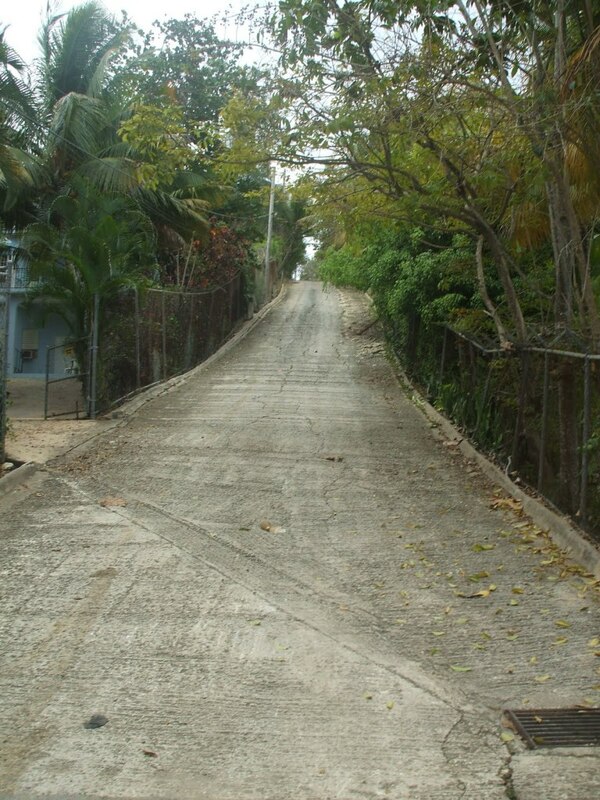 Rincon’s narrow roads and steep inclines mean you’ll probably want to spring for that rental insurance! Oh, and your trusty GPS? It will likely get you lost. For example, the one time we tried to use ours it sent us to the correct coordinates – but at the top of the mountain, not the bottom, where we needed to be! So etch the location of that bakery into your mind… and bring a map everywhere. We visited a few different beach areas during our trip, and Sandy Beach was my personal favorite – it’s also one of the nicest areas in Rincon to rent a condo in. The shoreline is beautiful and is filled with gorgeous palm trees, fallen coconuts and hordes of beach glass. During off-season (May – October), the beach is relatively empty and better for swimming, whereas during the fall and winter seasons, the water becomes a bit more rough and is ideal for surfers. 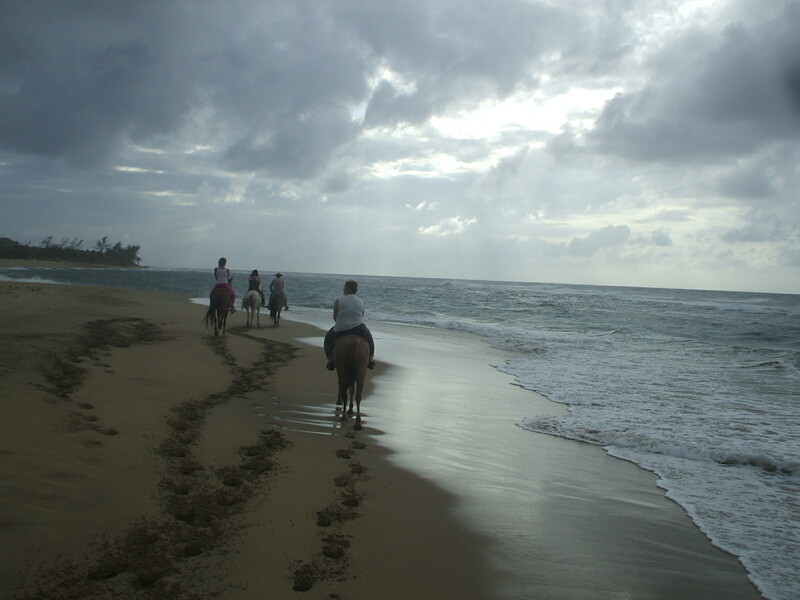 One of our favorite excursions during our trip was the two hour horseback ride we took with Tropical Trail Rides in nearby Isabela, PR. The tour took us down secluded beaches and through lush tropical forests where we trotted through beautiful almond groves. At $45 per person, not only was the tour completely affordable – it was also an amazing experience. One of the coolest things about Rincon are the animals. Literally everywhere we went, we encountered free-roaming (though not necessarily stray) cats, dogs, chickens, roosters, horses and cows. Seeing dozens of cats roaming along the shoreline? Coolest thing ever. And although they were never seen, only heard, the Coquí (a type of frog native to the island) were one of our favorite things about Puerto Rico! 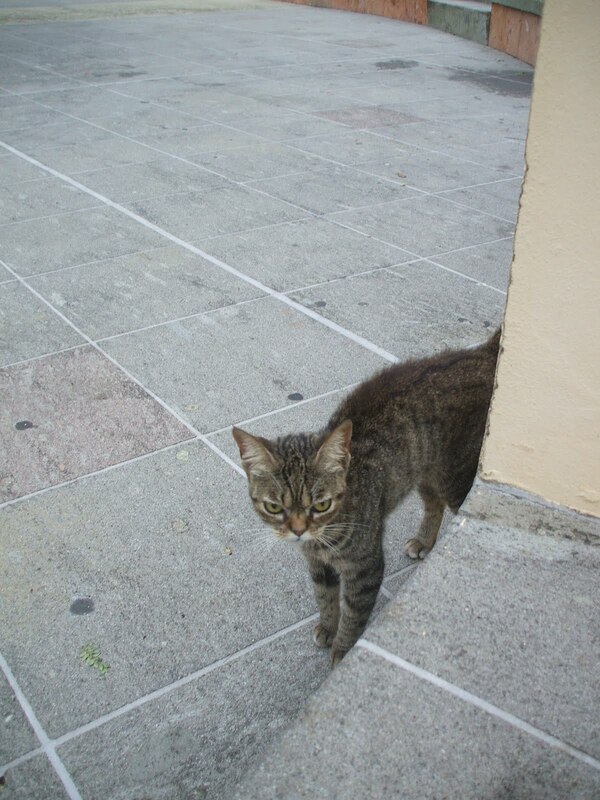 We stumbled upon this angry little kitten in downtown Rincon! If you’re looking to do a bit of snorkeling or swimming, Steps Beach is the place to be. The water is a bit clearer than some of the other beaches, the surf a little calmer, and let’s face it – the cow pasture that runs along the beach is a sight to be seen. 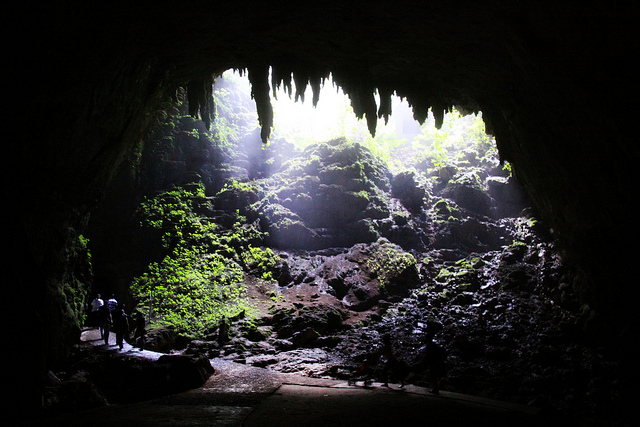 The Rio Camuy Cave Park (Spanish: Parque de las Cavernas del Rio Camuy), is the perfect gloomy-day activity. Located a short drive outside of Rincon in neighboring Arecibo, the park consists of over 200 caves as well as the Camuy River. The $15 admission includes a self-guided audio tour. It’s recommended that you arrive as early as possible, as the park does impose a cut-off when they reach capacity. Note that the cave floors get very slippery, thus it’s recommended you wear sneakers or hiking boots for safety. Tamboo Tavern boasts that they were voted one of the “Best Bars in America” by Esquire magazine – and we can see why as it became our go-to spot while on our trip. Set right on the beach, this open-air bar and grill is perfect for lunch or dinner and serves up delicious food. We tried the Camarones Sobre Pasta Penne, Filete de Dorado, Pechuga de Pollo a la Parrilla and Pechuga de Pollo, and all of our dishes were delicious. In the evening, Tamboo has a live DJ and plays host to a mix of down-to-earth “townies”, surfers and vacationers. The staff and crowd are friendly, the drinks are a bargain (roughly $4 per drink) and the mojitos are top-notch. We had such a great time here, we decided that life would be perfect if we could import Tamboo (along with our favorite bartender, Tavo) to Chicago. A smoothie from Banana Dang is the perfect way to end a day at the beach. 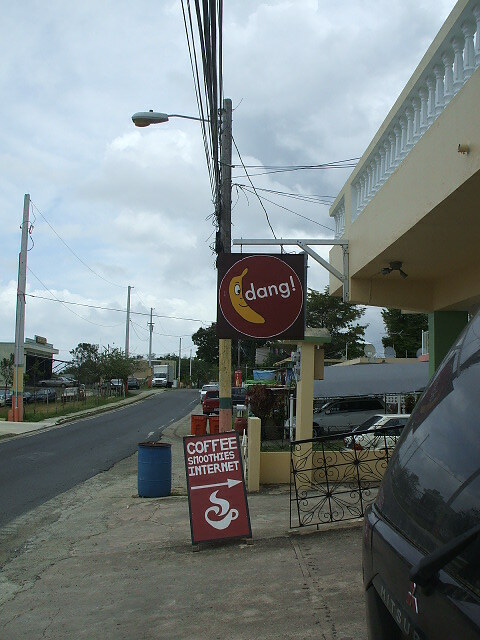 I tried the Nutty Dang smoothie (peanut butter, banana and chocolate), which was to-die for. Even cooler than Banana Dang’s smoothies is their commitment to community, conservation, local artists and fair trade practices. 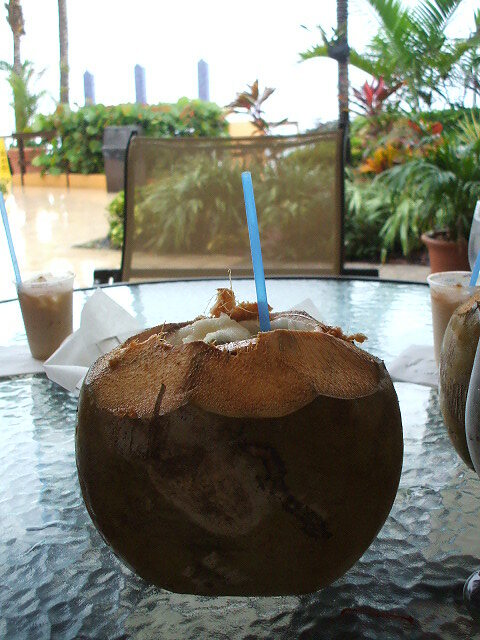 After hearing from several people that we absolutely had to try Villa Cofresi’s infamous coconut drink, we decided to head over on our last day in town. 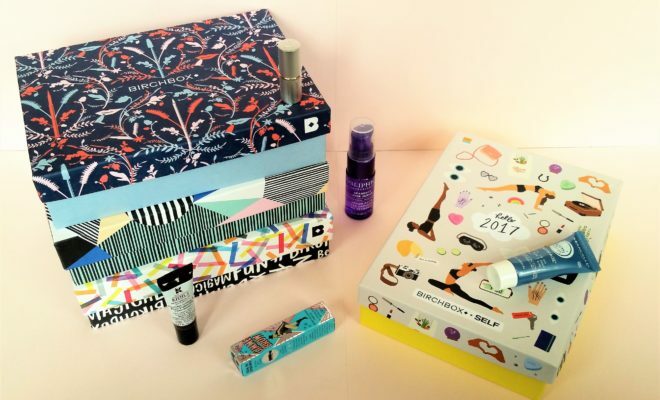 Lo and behold – we were not disappointed. As recommended, we ordered the Pirate Special (Villa Cofresi’s signature cocktail) which is a fresh coconut that has been hacked open and filled with liquor and cinnamon. It was huge, strong – and very delicious. For dinner we all enjoyed a seafood dish of some sort – I ordered the Mofongo with lobster, which was amazing. Even better than the Pirate Special is the view – Villa Cofresi’s open air bar and restaurant is right along the beach and literally steps away from the ocean. If you’re a souvenir hoarder, you will be disappointed to discover that traditional souvenir shops are hard to find in Rincon. For traditional vacation trinkets (shot glasses, key chains, and the like), your best bet is to visit the small gift shop in Rafael Hernández Airport before catching your flight back home. For local art and gorgeous (yet affordable) handmade jewelry, I highly recommend Tres Puertas located in downtown Rincon. Tamboo and Villa Cofresi also have gift shops, although they both have a limited selection. For basic necessities, we visited both the Pitusa and Econo grocery stores, which are located right across from each other on Highway 115. Pitusa was a bit cheaper and carried more local and Latin-American brands; however, for picky eaters, Econo has a larger selection. Visitors from larger cities in the Continental US will notice that groceries are a fraction of what they cost back home – definitely a pleasant surprise! 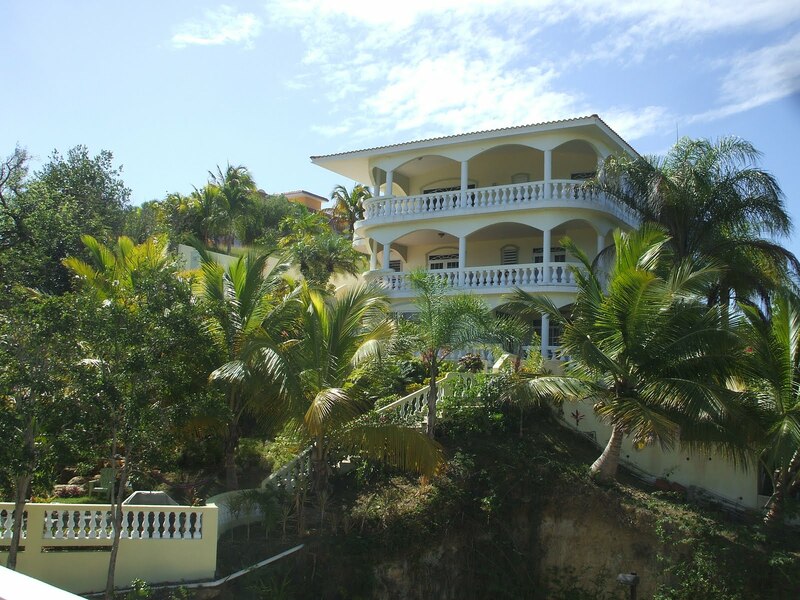 For more Rincon travel tips, the Rincon, Puerto Rico Online Guide is a great resource for further information on the region, as is the Tourism Association of Rincon. 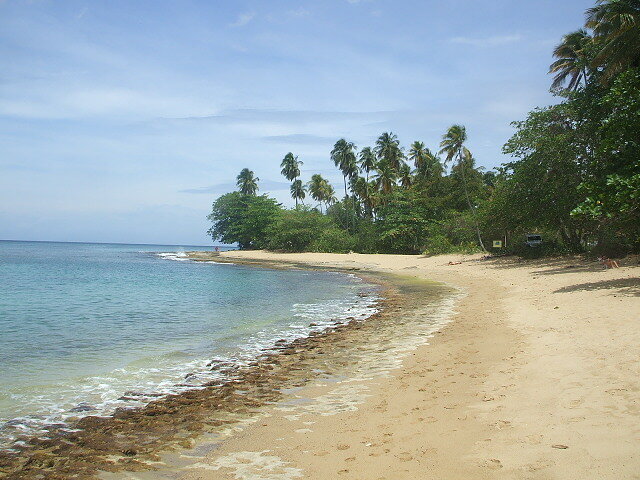 Rincon Vacations also has a good listing of activities and local information. 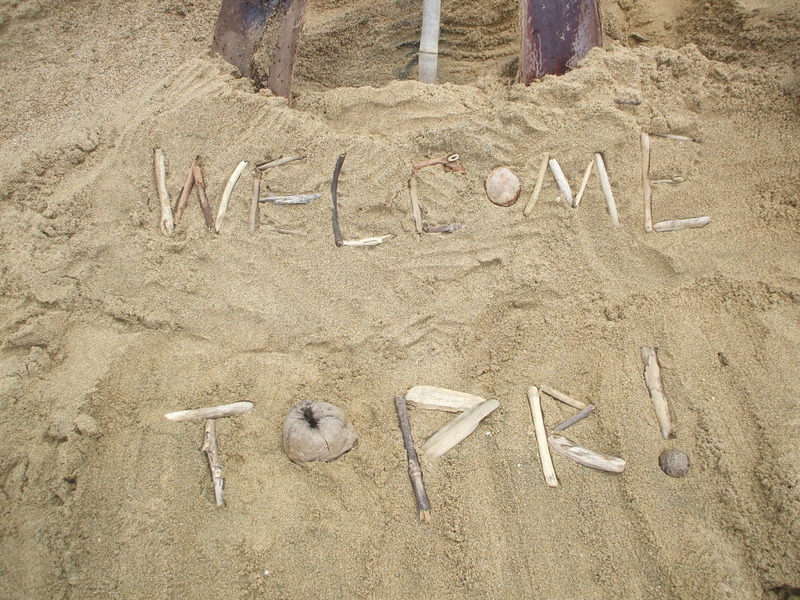 Nonetheless, one of the best resources we came across upon arriving in Rincon were the locals themselves. * Note: This post was originally published in 2012. As always, please verify information and travel tips before visiting.